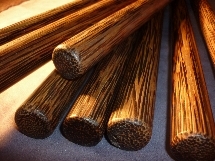 These very rare Bahi hard wood Eskrima Kali Arnis sticks are sought after by top Eskrimadors around the World. 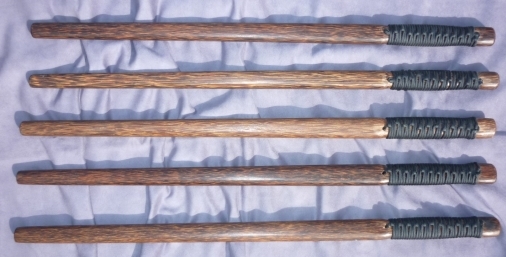 Handmade by a grandmaster in the Philippines they are approx 72 cm in length. 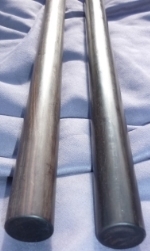 Approx weight 300 to 400 grams. 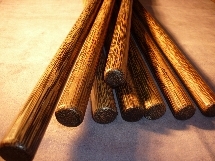 These Anahaw palm wood sticks have fibres running through the length which give them the weight of the Kamagong but with far more durability and strength. 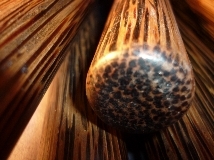 Stronger and rarer than the coconut bahi wood that may be sold by other outlets. EXTREMELY RARE ITEM, LIMITED AVAILABILITY. At last we have some stock after about a year during which Bahi wood was totally unavailable. Made from Anahaw Bahi wood.